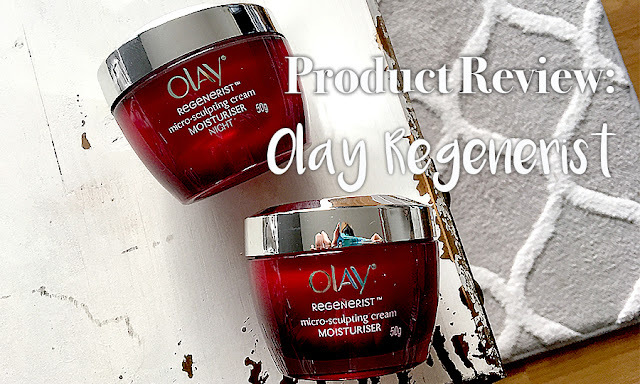 Some of you may remember my blogpost about the Olay Regenerist Miracle Duo. If not, click here to read my initial review and thoughts. I focused my review on the day cream and serum in that blogpost, so today I'm going to be telling you a little bit more about the night cream. The Olay Regenerist Micro Sculpting Cream is Olay's most advanced, award-winning, best-selling anti-aging cream. It came from 50 years of research and is formulated with the most concentrated ingredients, aiming at lifting, firming, and micro-sculpting the skin. So far I've been using it for about a week, so I can't say much about its effects until a little later, when I've had more time with it. What I can tell you, are the effects it's had on my skin so far. Let me preface this review by telling you that I have also been using the Day cream as well as the Miracle Boost Youth Pre-Essence. The Night cream looks exactly like the Day cream - it comes in the same jar with the same lid (only, of course, the Night cream says 'NIGHT' on it) and the same stopper that I have trouble removing. 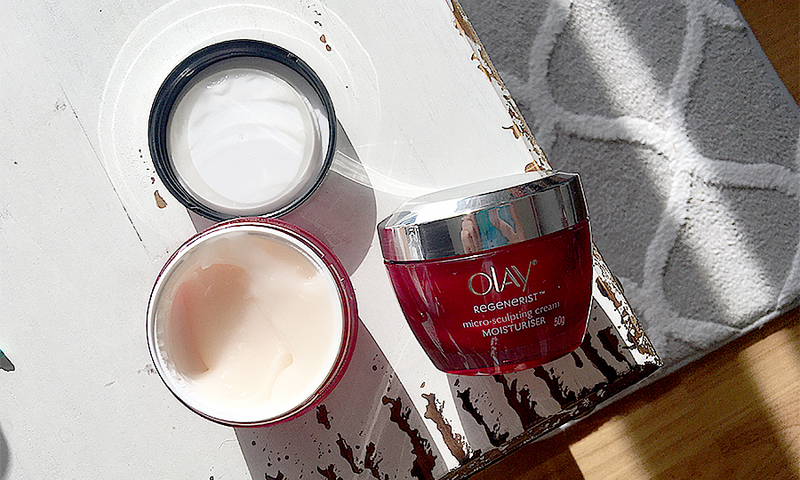 The Night cream is heavier than the Day cream, and has a slightly stronger scent. It does leave a tiny bit of a film on the skin, but I honestly don't mind it at all because it's barely noticeable, and it's nighttime, so I don't really care if my skin is oily or not. It's still a lot lighter in texture compared to a lot of night creams I've tried, so if you're not a fan of heavy creams, this is one to try. As with the Day cream and Pre-essence, I did notice a slight improvement in my skin once I started using this. As is, my skin has been pretty well-behaved, what with the Day cream and Pre-essence I've been using, as well as upkeep with sunscreen of course! But I did see a tiny bit of improvement especially under my eyes. Usually, when I conceal my under-eyes, I have little creases in the inner corners of my eyes that become more prominent. They're not as prominent anymore, so yay! This is my biggest problem area and I am really happy that this cream kind of addresses that issue.